We offer a friendly, experienced support staff who strive to make each and every transaction as smooth as possible. We surround ourselves with seasoned professionals such as title companies, lenders, surveyors, etc; who will help to make your transaction easier. We also know what it takes to list, market, sell and CLOSE transactions. When you speak with one of our Group Specialists, they know first hand from experience how to accommodate your real estate needs. We have built a very well respected and trustworthy reputation in our State since 2000 and are known all across the Southwest for our honest, hard working reputation. 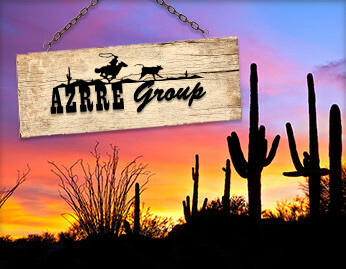 At Keller Williams our AZRRE Group is in the forefront of today’s ways of helping sellers and buyers. Looking to sell or buy? We would appreciate an opportunity to assist!